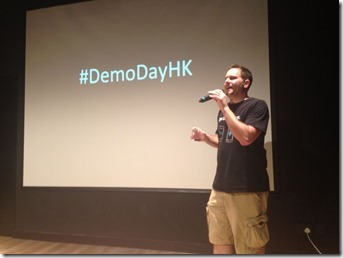 AcceleratorHK Cohort 2 Demo Day! 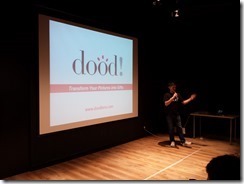 Last night in Hong Kong was the cohort #2 Demo Day! 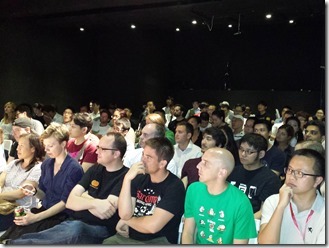 Over 150 people braved severe Typhoon Utor to make their way to The Good Lab for Demo Day 2. We squeezed about 120 into the main theatre and about 30 or so in the live streaming in the kitchen area of the Good Lab. 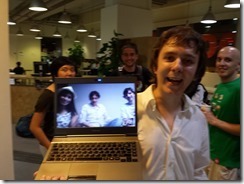 After a brief intro by Tony at the Good Lab and a photo slide show, I did a brief introduction. I fooled the audience into thinking that I made a typo on a slide with the wrong date, I had August 13 2012 on the first slide since one year ago to the date I began the Accelerator journey when my board approved the project. Quite fitting to have our second demo day on the one year anniversary. iceVault: offline storage for your online assets. Starting with Bitcoin. After the presentations we had a networking event and each team had their booths set up. Despite the looming T8 typhoon, I had to kick people out of the Good Lab after two and a half hours. 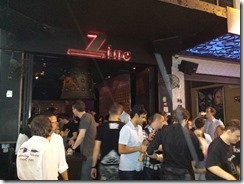 Of course we had the all-important after party in LKF. 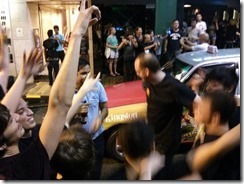 By now the Typhoon had hit in full T8 force, at one point we took to dancing in the streets in the typhoon’s monsoon rain. Stay tuned for the videos and interviews to be posted here in a few weeks. 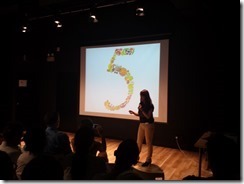 My journey at AcceleratorHK ends here. I’ll be moving to Palo Alto and running an accelerator this fall in Silicon Valley. 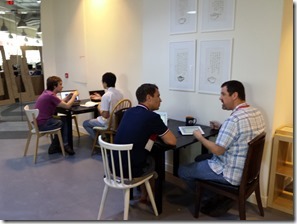 Stay tuned as Paul and I figure out how to make cohort #3 of AcceleratorHK! 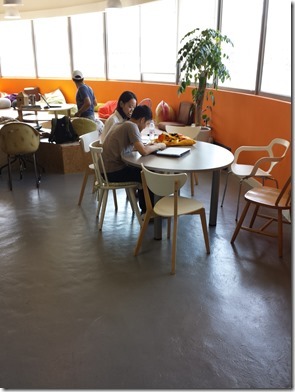 AcceleratorHK Cohort 2 Week 13: Crunch Time! 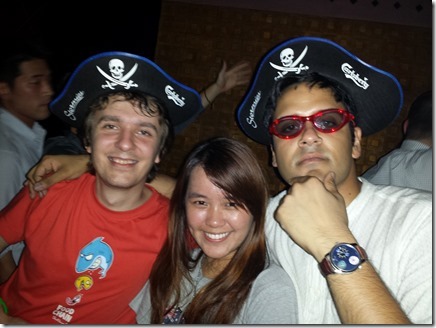 We have just completed the final week of AccleratorHK, the hardest week of them all. Last week was the week where the teams had to run their businesses, review and sign all of the investment paperwork from Telerik, and prep for Demo Day! 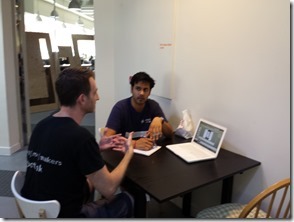 For prepping, we have two mentors come in this week and work with the teams. In addition we had three members of the past cohort come in and work on the presentations. Finally we had our last Friday check-in where I got to weigh in for probably the last time on the presentations. All in all, that was at least six practice runs with structured feedback. The teams are ready for Tuesday. Later in the week we had the Demo Day film team arrive and Gerard filmed each team’s interview. 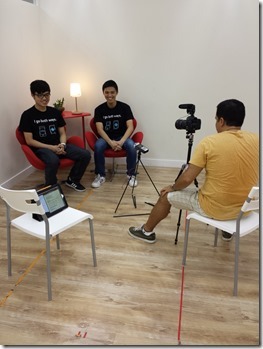 These interviews will be used by each team as they leave AcceleratorHK and take their businesses to the next level. 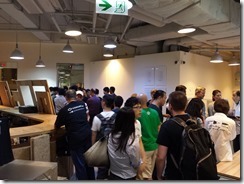 This was the last “normal” week at AcceleratorHK, normal being that we have our scheduled program 1:1 meetings, mentor visits, Friday check-in, and other activities. The following week will be the final week to prep for Demo Day, which is on August 13th. One more team released an MVP! Icevault, Offline storage for Online currencies. You can easily sign up: a bitcoin address will be generated for you right away - and the private key securely saved offline and encrypted for you. We had a great mentor come in and visit us. Michele Leroux Bustamante came in and spent about an hour and half with each team over two days, plus sat in on the Friday check-in and provided valuable feedback to the teams on their presentations. Michele had her original flights rescheduled due to a foul up in San Francisco so she extended her trip until Saturday and we all got to spend a little more time with her. That means she got to get down as the teams blew off some steam in LFK on Friday night. This coming week is the last week of the program! We will have five different people come in to spend time with the teams practicing their Demo Day presentations, all while trying to continue to build their products! It is crunch time to say the least. 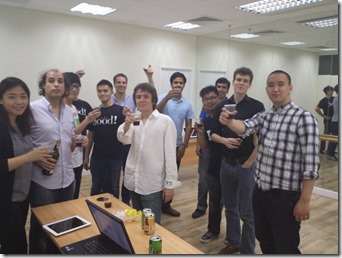 See you all at Demo Day on August 13th!